About 4,000 to 5,000 years ago, a huge chunk of space rock fell in Argentina, but it didn’t fell in one piece. 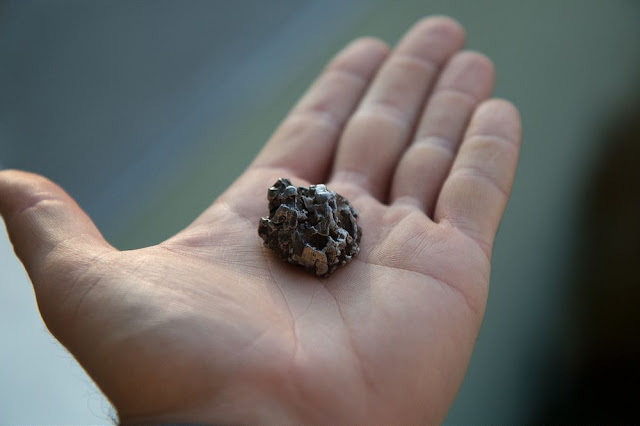 It broke up as it entered the earth’s atmosphere creating a meteorite shower with pieces ranging from a few grams to several tons. 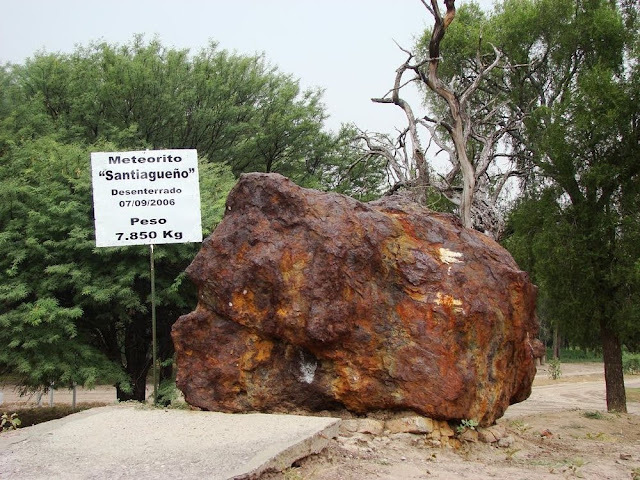 Most of the larger fragments fell over a narrow belt of land several square kilometers of area now known as the Campo del Cielo meteorite field. 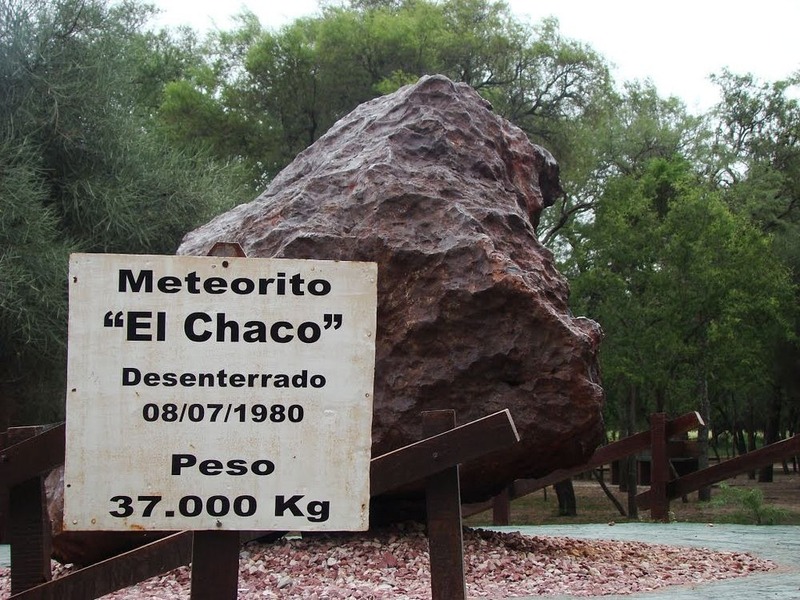 The site is located on the border between the provinces of Chaco and Santiago del Estero, 1,000 kilometers northwest of Buenos Aires. 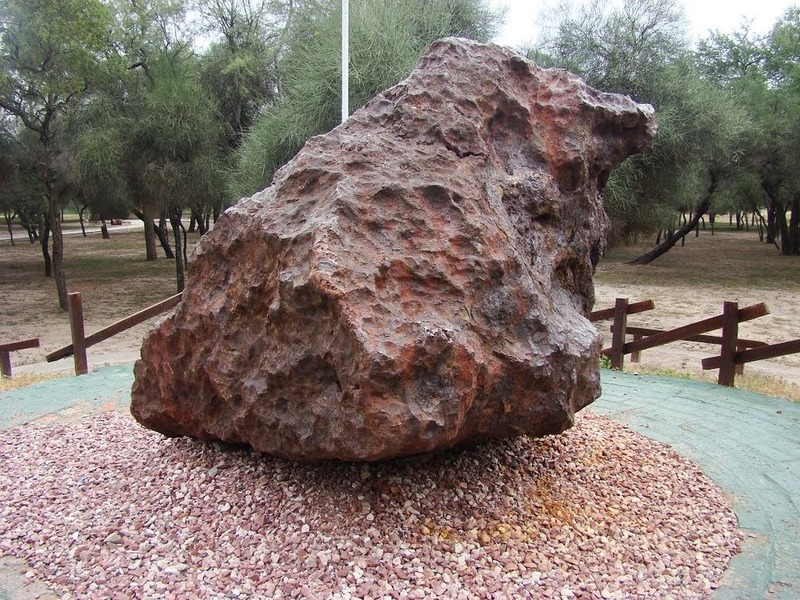 The impact left at least twenty-six craters inside Campo del Cielo —an area about 3 km wide and some 18.5 km long. 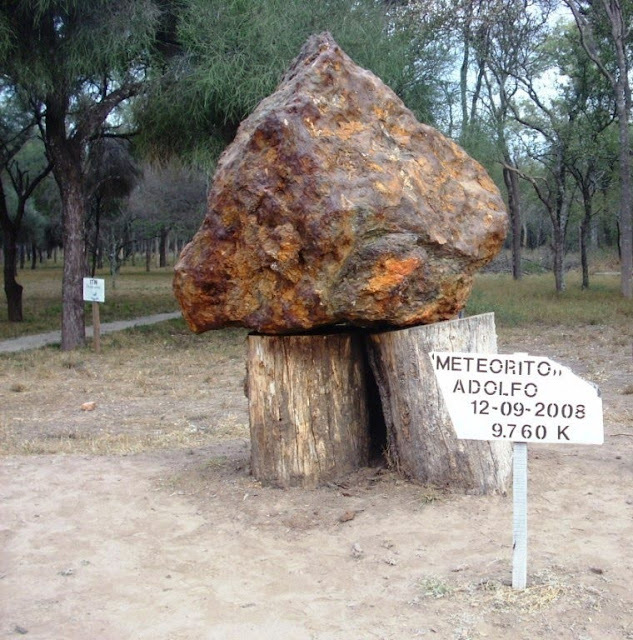 The largest measures about 115 meters across. Some meteorite fragments punched deep holes into the earth, as in the case of a 14-ton meteorite that created a tunnel 25 meters long and 8 meters deep. 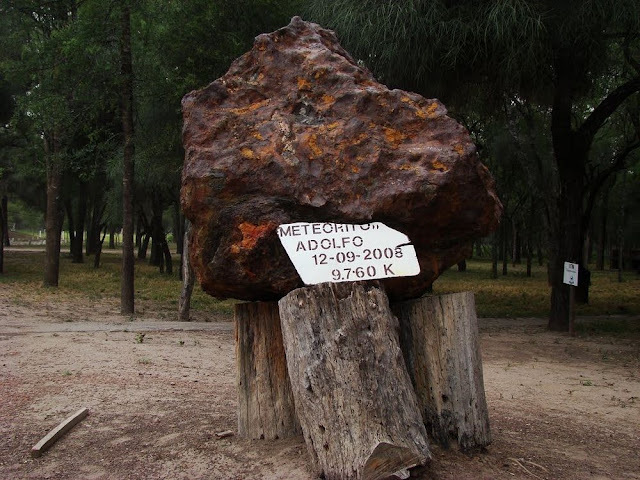 These rocks are estimated to have struck the surface at 14,400 kilometers an hour.